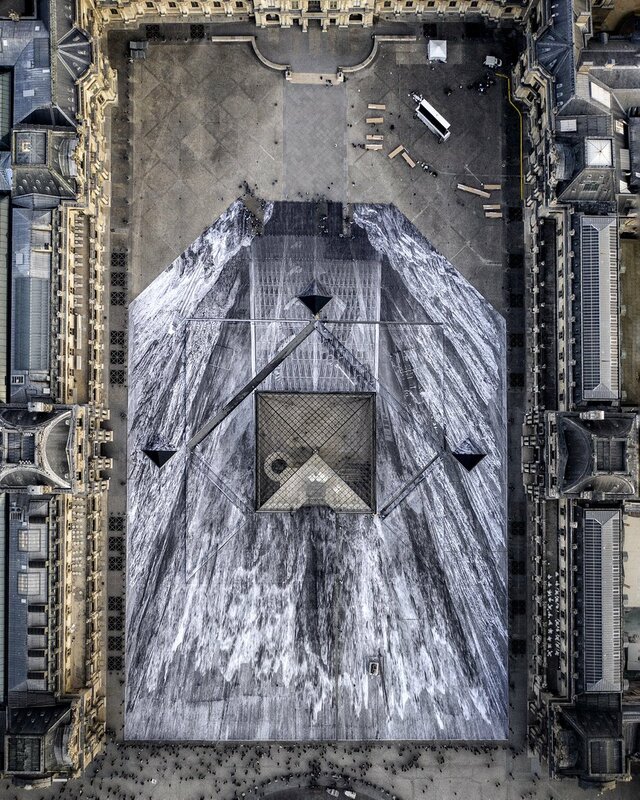 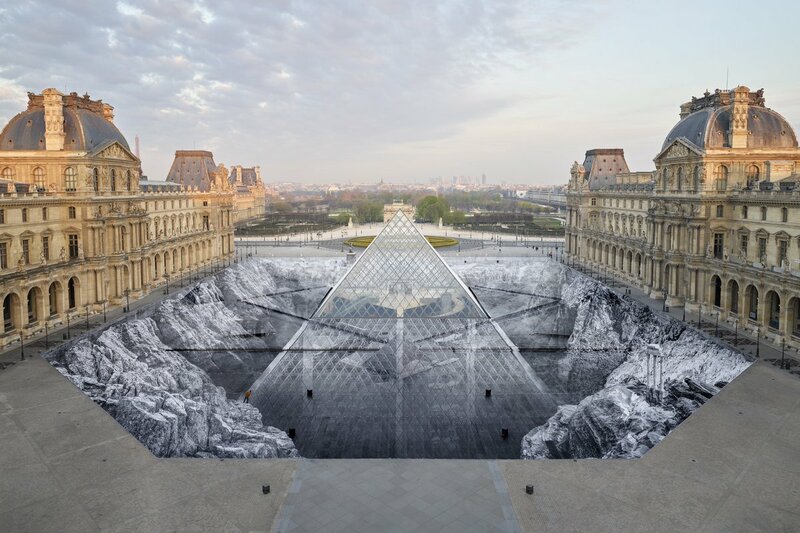 The French artist JR, already mentioned several times, recently completed a large-scale project around the Louvre pyramid, where he glued strips of paper to create a gigantic optical illusion, with the help of 400 volunteers. 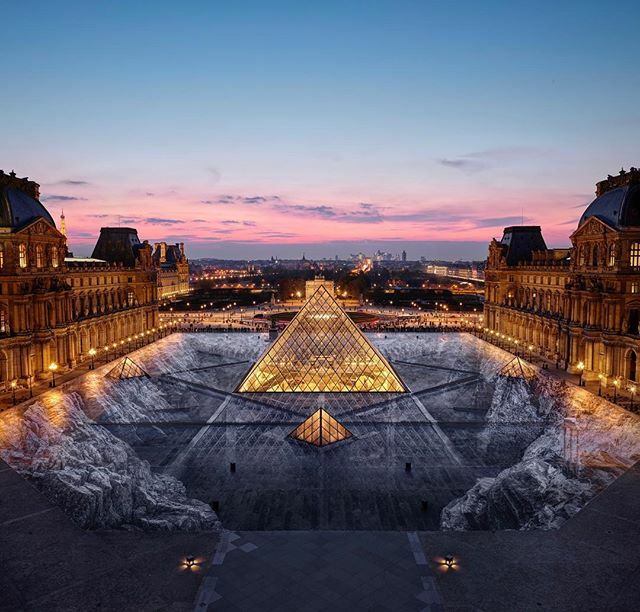 The project, titled “The Secret of the Great Pyramid” was created to celebrate the thirtieth anniversary of the famous glass structure. 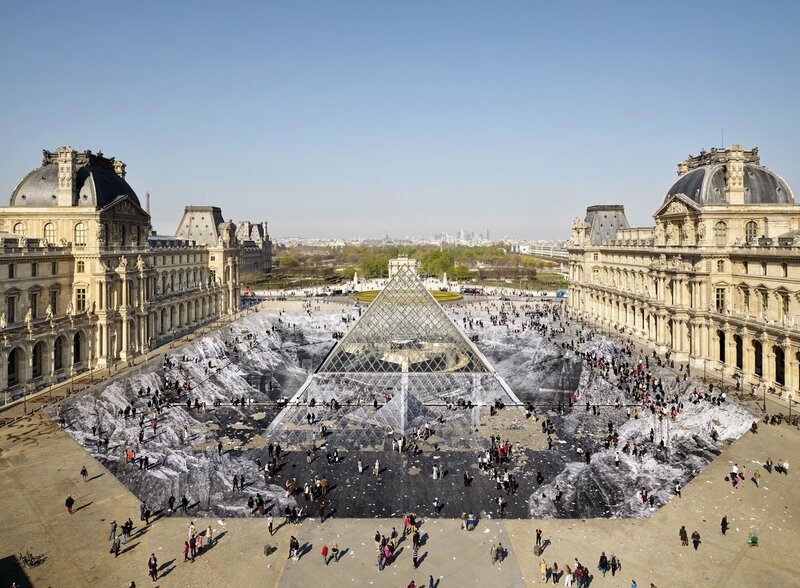 People can freely walk on his artwork to discover what imagined JR about what could have been hidden under the monument: a gigantic rock quarry. 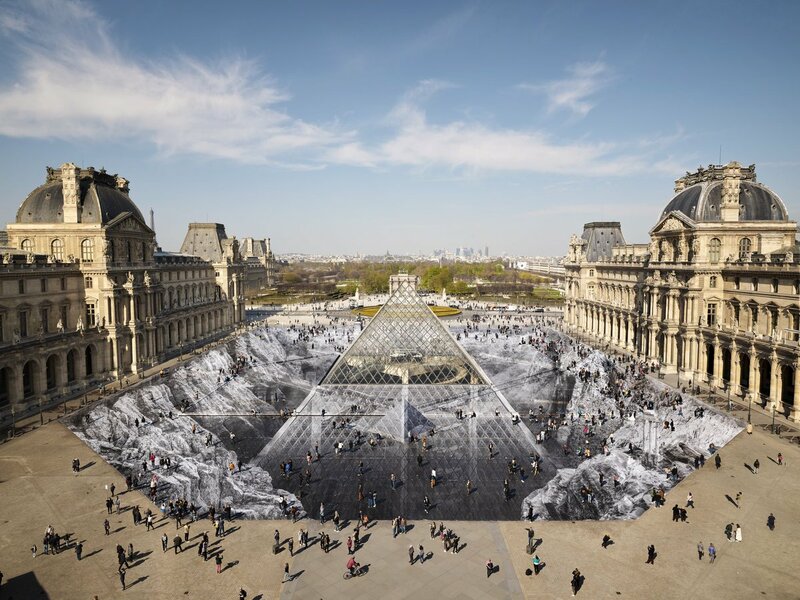 The ephemeral work was designed to last for a weekend, so we will not blame him if it already starts to take off!